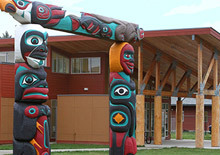 The Early Learning Center at the Northwest Indian College is a state-licensed early learning program for children ages 1 year through 5 years old. Our primary goal is to serve NWIC students who are parents of young children; as space allows, we are also happy to provide childcare for faculty and staff, as well as community members. We offer a low ratio of children to adults; competitive rates; highly qualified staff; individualized care; and a curriculum that supports cultural identity while engaging children at their individual developmental level. We are proud of our program’s work with the Wakanyeja “Sacred Little Ones” Early Childhood Education Initiative, and our commitment to integrating the Hand in Hand “Parenting by Connection” relationship building practices into every aspect of our program. The mission of the Early Learning Center is to provide a quality, affordable and family-centered early learning program that meets the needs of the children and families enrolled. We are responsive to parents’ scheduling needs while ensuring developmentally appropriate, culturally relevant experiences for the young children in our care. A quality early learning program enters into a partnership with parents in order to create an environment where all children are respected, nurtured and encouraged. We rely on your assistance in developing a program that meets your family’s needs. Parents and families are an integral part of our program and services. Our curriculum emphasizes creativity, culture, choice, growing independence, interdependence, cooperation, family, and friendships. Building relationships between staff, parents, and community is also a critical component. Our program gives children frequent opportunities for social interaction. 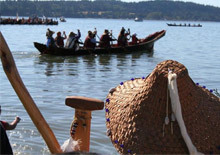 Traditional Native American values are the basis for our emphasis on caring, sharing and respect within the community. We support the Lummi belief of LENGESOT: we take care of ourselves, watch out for ourselves, and love and take care of one another. Protecting the health and safety of children. Creating an atmosphere sensitive to supporting the child’s home culture, language and values. Helping children form a positive self-image. Providing a responsive and loving environment where children can grow at their own rate. 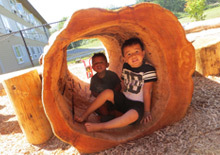 Encouraging spontaneity and imagination in children. Respecting a child’s rights, so that by example, she/he will have self-respect, respect for others and a respect for our center. Providing opportunities for the development of social relationships and interactions with other children. Providing an environment that celebrates diversity and models respect and empathy for people of all ages, cultures, and abilities. Creating an atmosphere of cooperation and mutual respect among families and teaching staff. Treat each child with respect and dignity. Create an inclusive and accessible program and classroom environment. Recognize each child as an individual with unique strengths and needs. Use ongoing communication to build partnerships with families to learn how we can best meet their needs. Create a learning and professional community that ensures social justice, understanding, civility and non-violence in a safe and supportive environment. Employ curriculum, teaching strategies, and student/personnel practices that facilitate sensitivity and openness to diverse ideas, peoples and cultures.